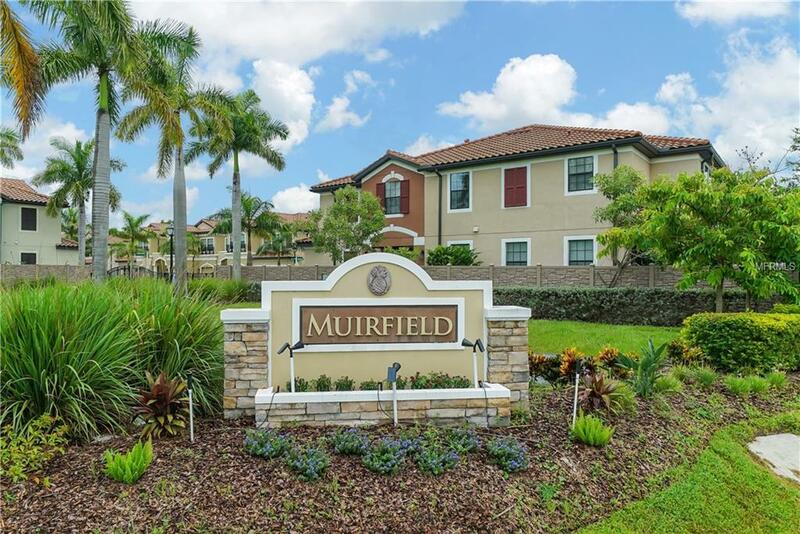 Muirfield Village at Honore is a gated community near UTC Mall, Lakewood Ranch, Sarasota Airport, I-75 and downtown Sarasota. 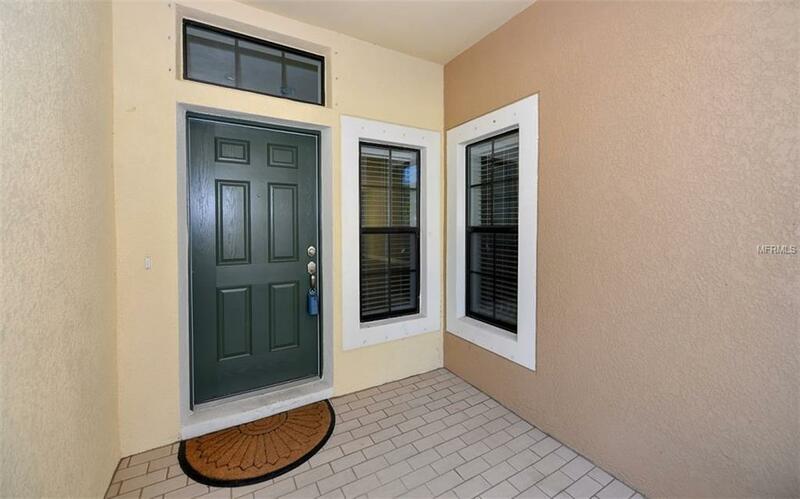 This home is like new with the most popular finishes. Beautiful and move in ready, now vacant. Every room feels spacious with bright, open floor plan. The town homes are nestled in a quiet and peaceful setting, while still being conveniently located near shopping (walk to a brand new Whole Foods), entertainment and work commutes. The tasteful kitchen with quarts counter tops flows into the spacious dining and family room with gorgeous wood floors. Upstairs there are generously sized guest rooms with a shared bath and gorgeous quarts counter tops. The master bath features a large walk-in shower and double Vanity. Don't forget the large inside laundry room. Outside you have a large brick Paver lanai which is perfect for entertaining or just unwinding after a long day. Just open the door and let the family outside to play. 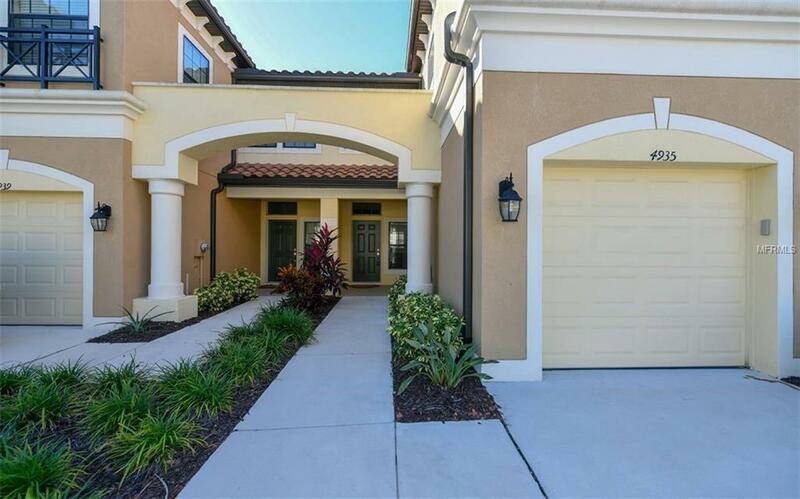 Schedule a showing now and experience the ease of maintenance free living with low fees (no CDD) to complete this perfect combination!This is only three-year old, 63 unit townhouse community. 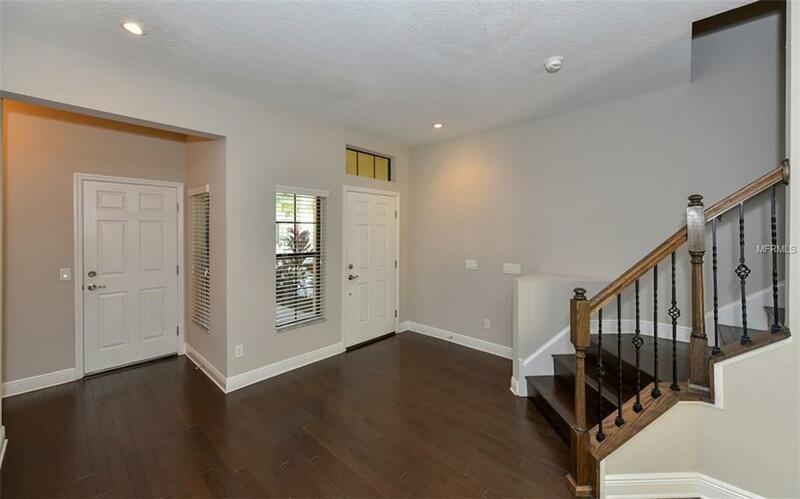 This is a two-story 1,906 square foot town home with three bedrooms, two and one-half bathrooms, a one-stall garage and a Paver rear patio overlooking a greenbelt area. This unit has 2,250 square feet under roof and condo fees at only $270 a month, this is inexpensive living for so much space and style in a newer product, very spacious, modern feel in such a great location. Additional Lease Restrictions Unit May Be Leased Annually Once A Year. Pet Restrictions Pets Are Allowed With No Restriction On Number And/Or Size Of Pets.